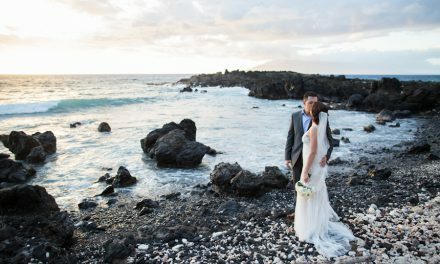 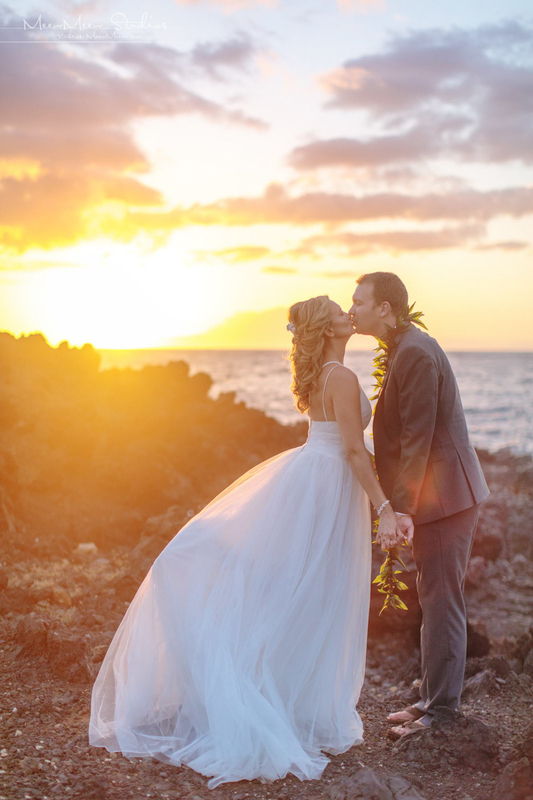 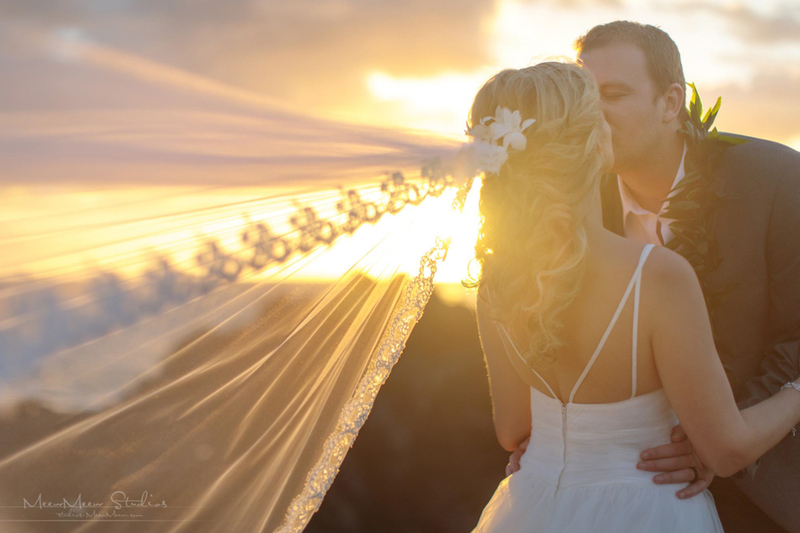 It’s not hard to see why Laura and Chase chose this stunning private estate for their Romantic Maui Elopement! 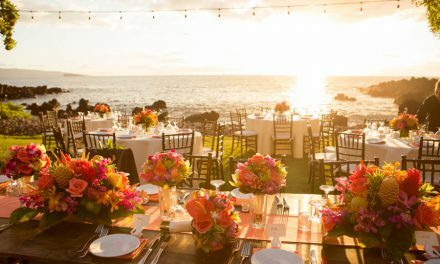 This gorgeous oceanfront estate offers the most stunning views in a private, garden setting, it was the perfect place to start their life together as husband and wife, surrounded by their closest family and friends. 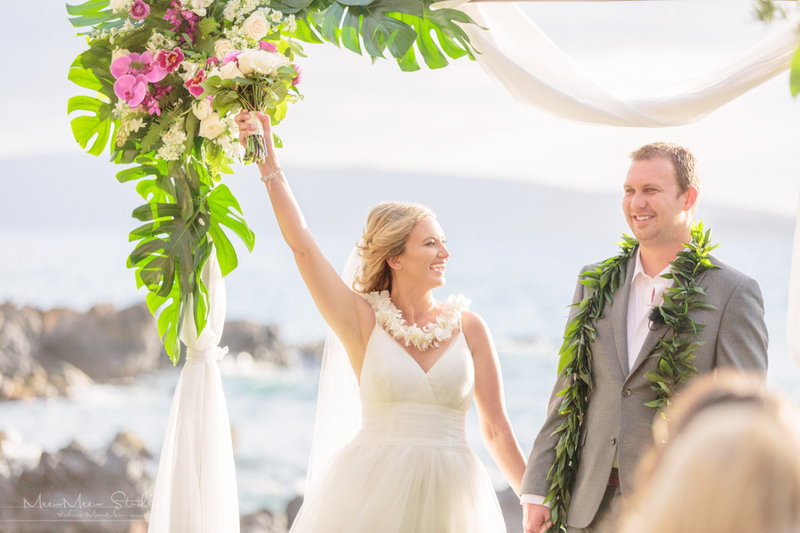 This gorgeous couple wanted to let the beauty of Maui shine as they kept their decor elegant with a tropical flair. 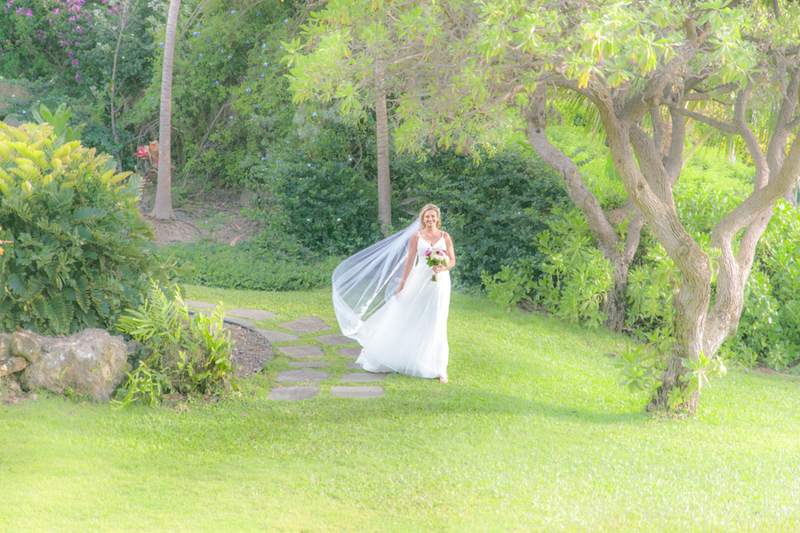 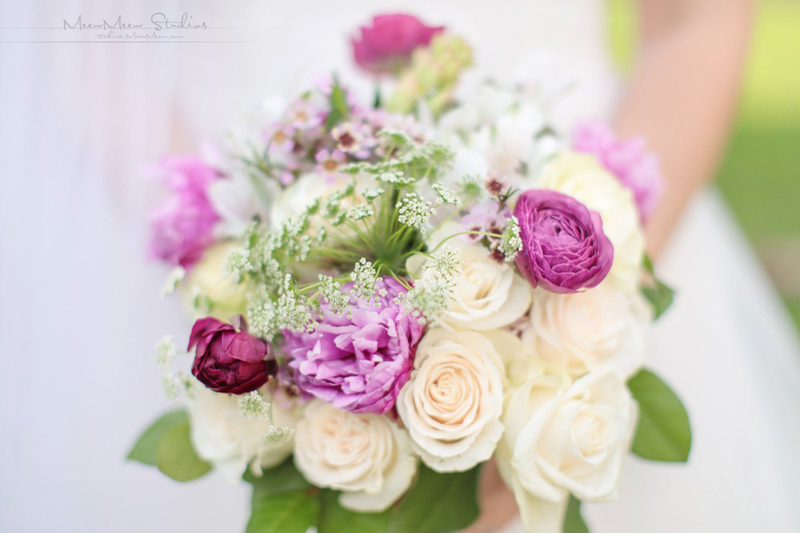 Laura was a vision in white as she made her way down the aisle to her waiting groom. 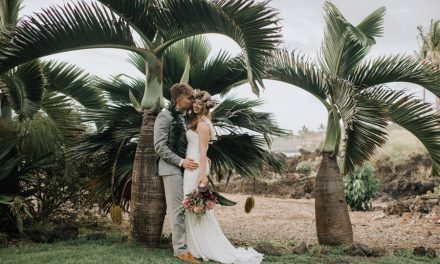 They said their vows to each other under a romantic 2-post wedding arch decorated beautifully with monstera leaves and tropical blooms. 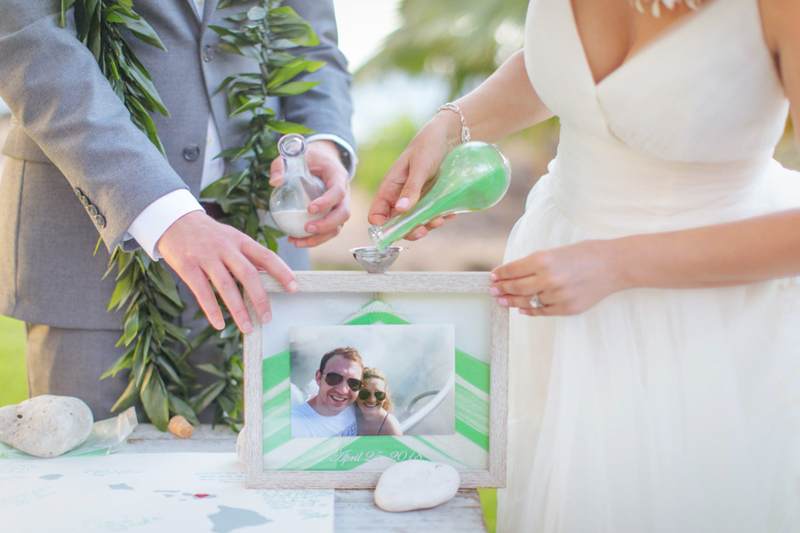 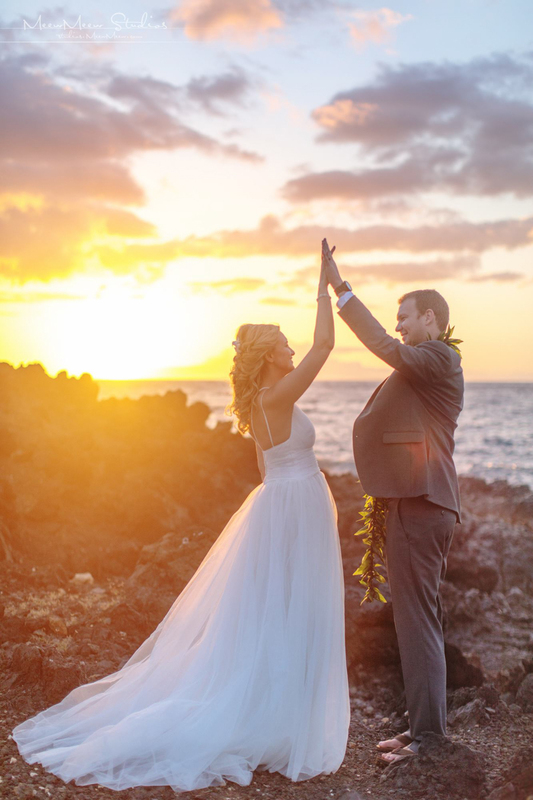 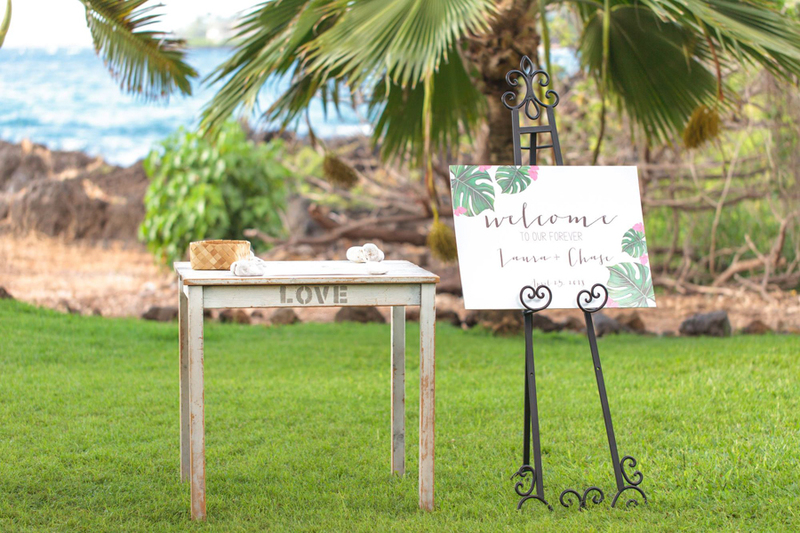 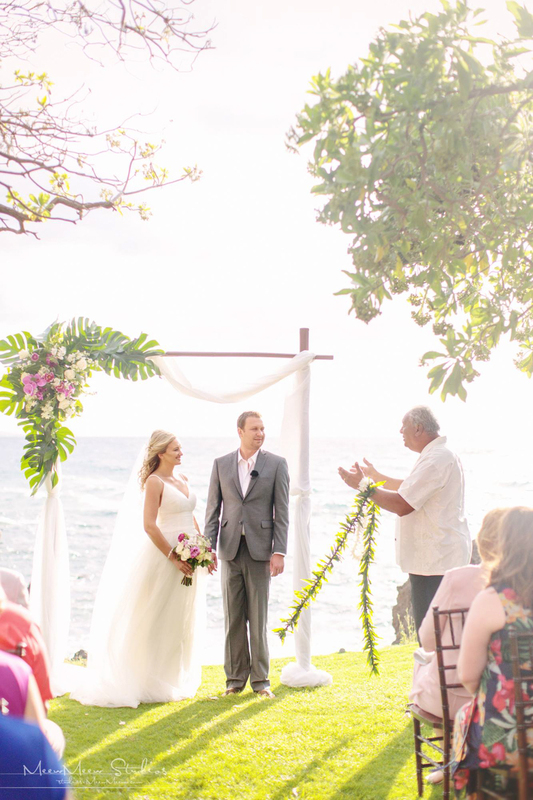 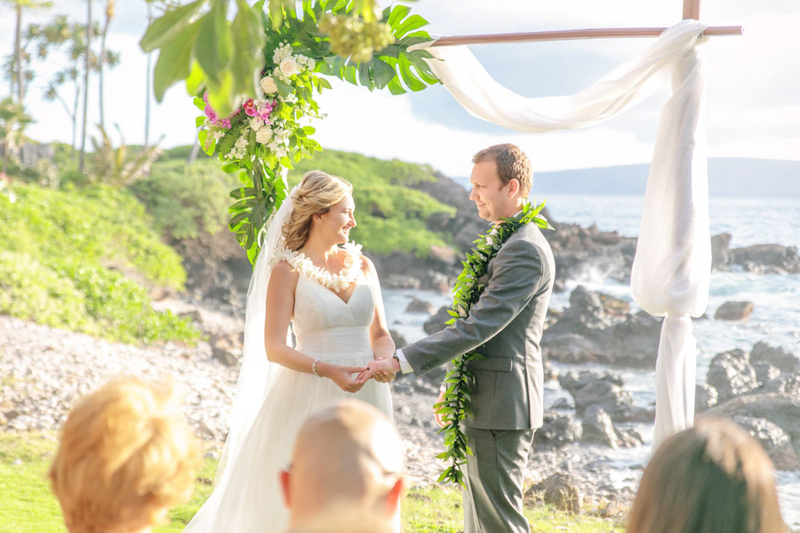 The couple included a sand ceremony that was so sweet and meaningful, we absolutely loved the cute frame that they poured the sand into, such a lovely reminder of their romantic Maui Elopement that we’re sure they’ll treasure always. 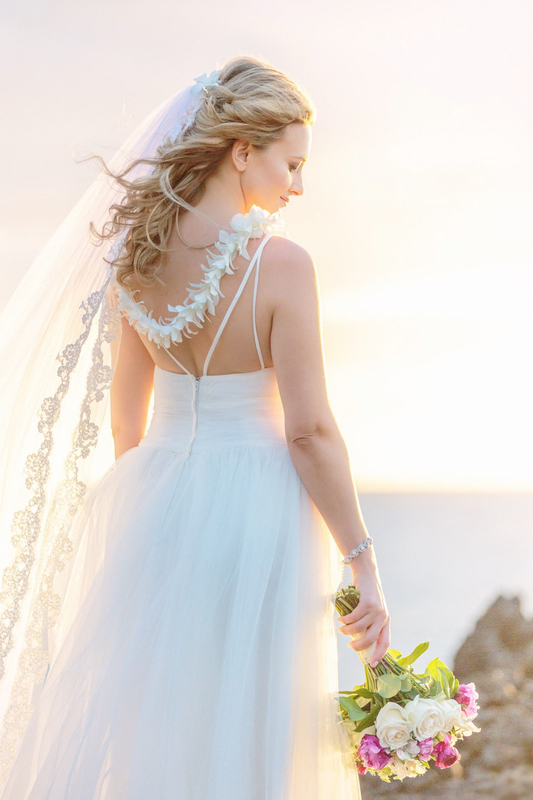 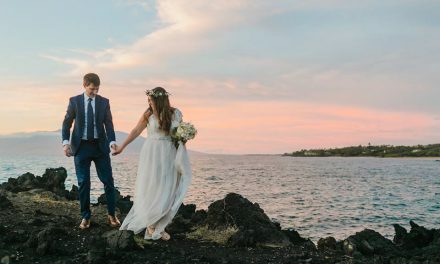 After a heartfelt ceremony performed by Al Terry and a sweet serenade by Jamie Lawrence, the newlyweds enjoyed romantic photos as husband and wife along the rocky Makena coastline. 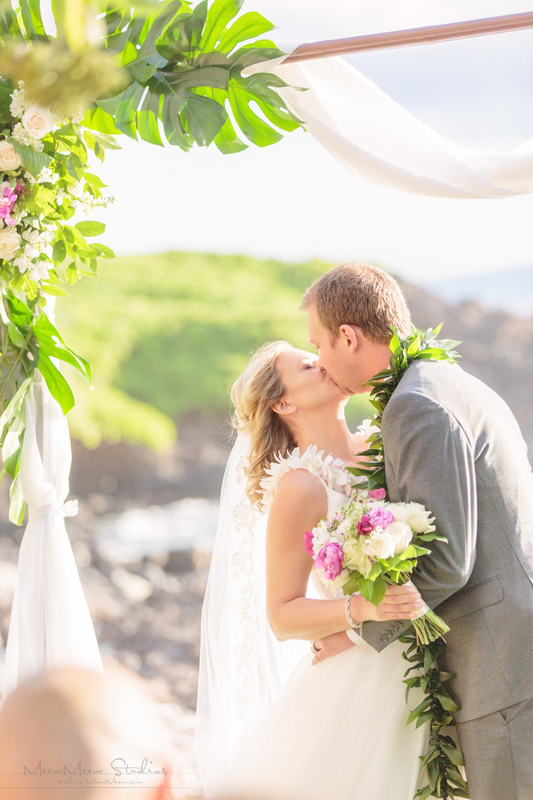 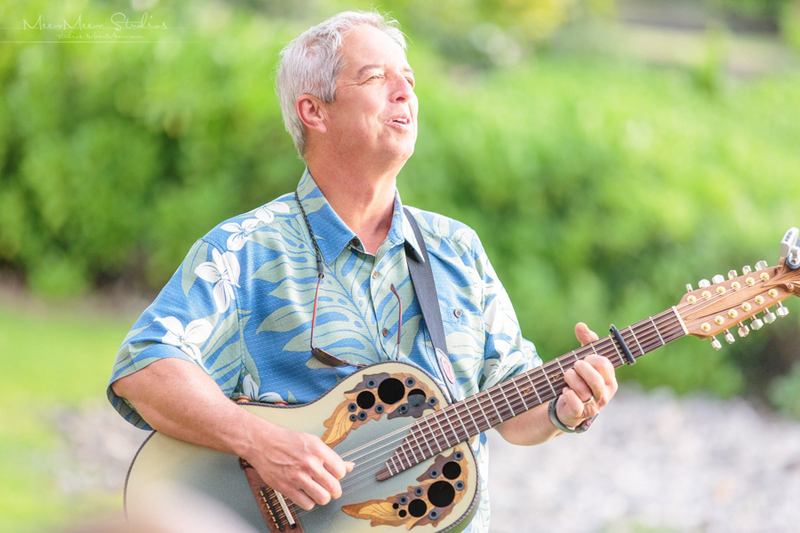 They were so much fun to work with and we felt so lucky to have been chosen as their Maui wedding planner! 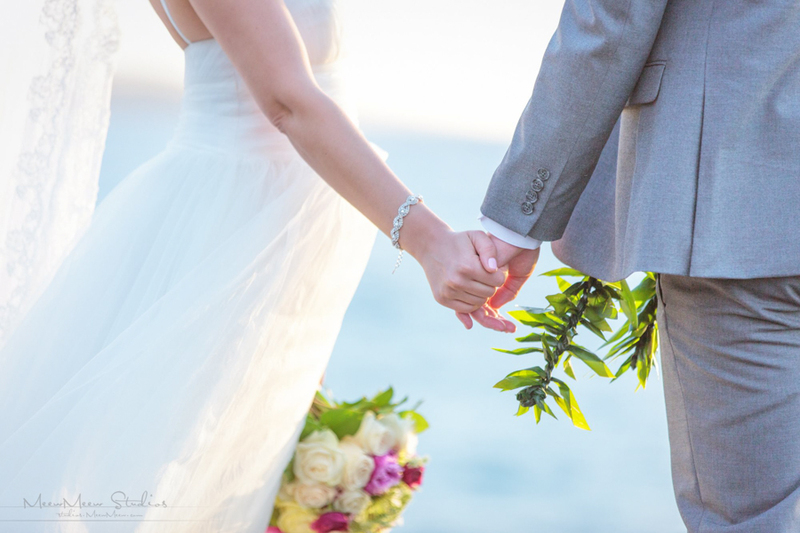 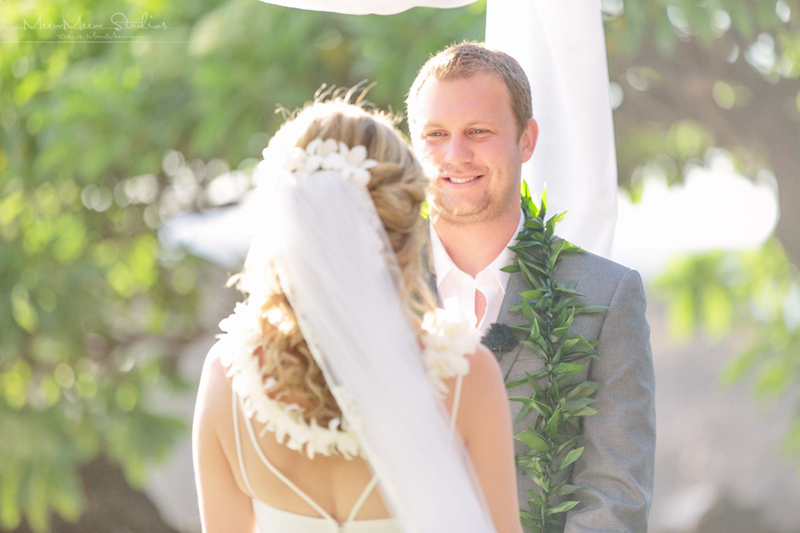 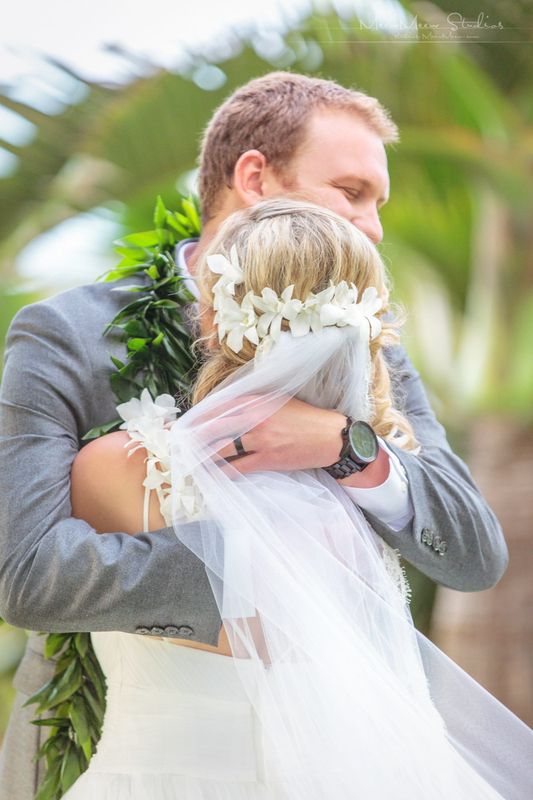 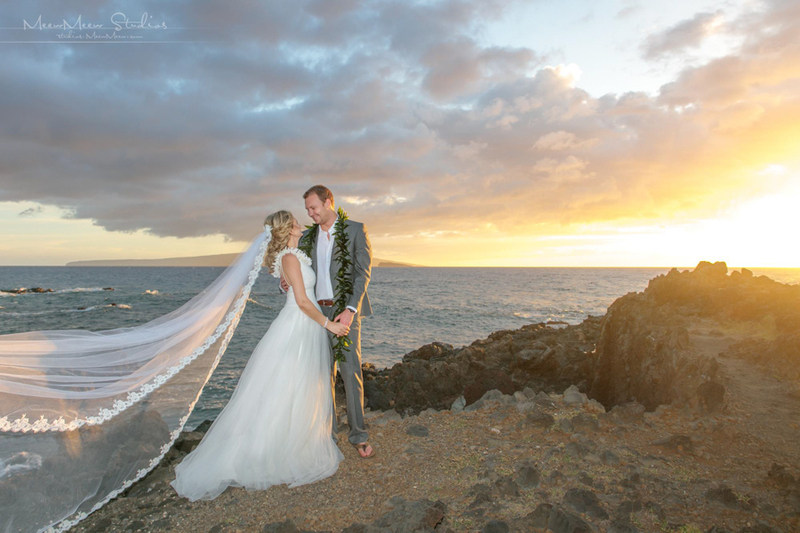 Congratulations, Laura and Chase, we wish you all of the love and aloha in the world, from all of us at Makena Weddings!